Selldorf Architects will design the Qianlong Garden Interpretation Center within a palace of the Forbidden City in Beijing, China, which has never been opened to the public. The Selldorf Architects-designed visitor centre will open up the Qianlong Garden – a private palace in the northwest quadrant of the former Chinese imperial palace complex, known today as the Palace Museum. "Projects like the new Interpretation Center at the Qianlong Garden, that bring people together in a spirit of inquiry and inclusiveness, are at the core of our practice," said Annabelle Selldorf. "It has been a great pleasure and honour to work with World Monuments Fund to create an opportunity for visitors to learn more about the Gardens and experience their beauty and wonder first-hand." Otherwise known as the Palace of Tranquil Longevity, the Qianlong Garden was built by for the fourth emperor of the Qing Dynasty in 1771 to serve as part of his planned retirement complex. Occupying almost two acres of the complex, it comprises 27 pavilions and structures, alongside four courtyards. It is one of the most significant historical sites in the Forbidden City to remain unrestored. 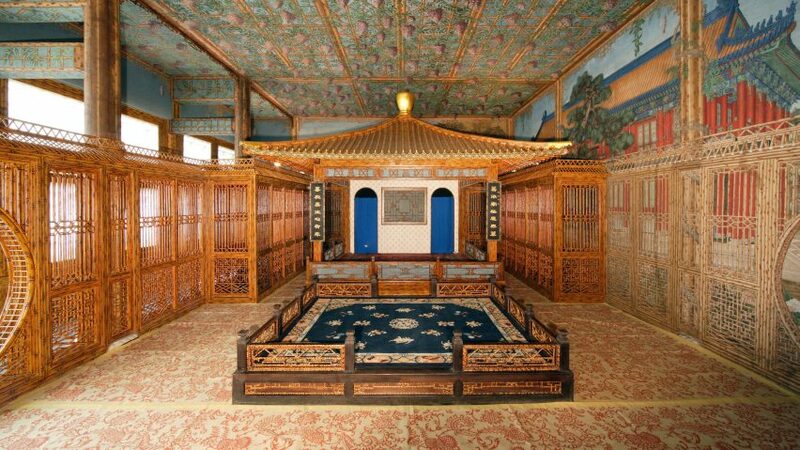 Selldorf Architects' Qianlong Garden Interpretation Center will be built within an existing, restored structure in the second courtyard of the palace, and comprise three halls surrounding an open pavilion. The main hall will be an open space with an unobstructed view of the rockeries in the third courtyard, while the east hall will present the conservation of the complex, and the west hall will serve as an exhibition space. Selldorf Architects will collaborate with exhibition curator Nancy Berliner on the content of each hall, and construction on the interiors is set to begin in late 2019. "We are honored to partner with Annabelle Selldorf on this incredibly significant project – one that will give the general public unprecedented access to one of China's most important historic sites," added Lisa Ackerman, interim chief executive officer of the World Monuments Fund. The Qianlong Garden Interpretation Center is expected for completion in 2020, in time for the 600th anniversary of the Forbidden City. Led by Annabelle Selldorf, Selldorf Architects is a 70-person architectural design practice based in New York City since 1988. The practice also recently revealed its designs for a renovation of the Frick Collection museum, which includes adding a extension to the library and opening parts of the Frick residence to the public for the first time. Photography is by Hillary Prim at World Monuments Fund.